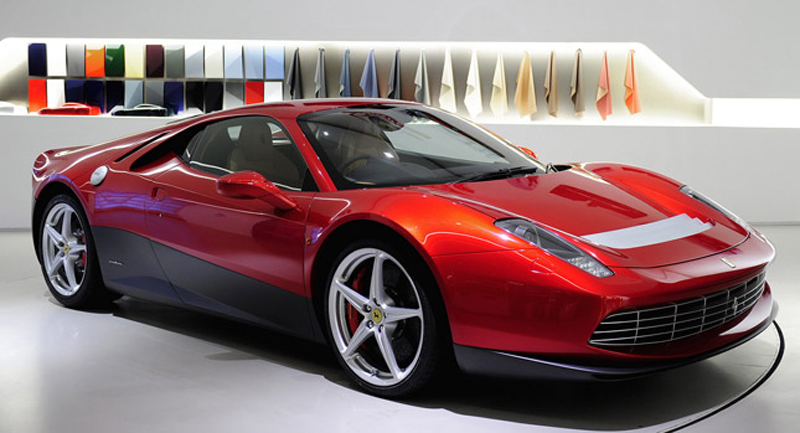 Earlier this year, the pictures of a one-off Ferrari based on the 458 Italia hit the web. After a series of speculations and rumors, it was official that the car was custom-built for the famed British musician, Eric Clapton. The car back in limelight, after Mr.Clapton agreed to share some of his thoughts on his custom-built car with Ferrari Magazine. The British artist has a long history as a Ferrari owner, but hearts one particular prancing horse, the 512 BB. Even after bringing home three of these models, Clapton just couldn’t have enough, and even his one-off custom-built SP 12 EC adopts design cues from the iconic car. Designed by the Centro Stile Ferrari in collaboration with Pininfarina and the engineers from Maranello, the Ferrari SP12 EC mixes the styling cues of 512BB, with the gorgeous contours of the Ferrari 458 Italia. The magazine quotes Eric Clapton as saying that embarking on the project was like “being in front of a gigantic blank canvas that had to be painted on” and that being involved with the birth and development of the car was “an incredible experience, one of the most satisfying things I’ve ever done”.